1 A None No Power Seat 1 A is a standard Business Class seat, however, the proximity to the lavatory and galley may be bothersome. There is no floor storage for this seat during takeoff and landing. 1 B None No Power Seat 1 B is a standard Business Class seat, however, the proximity to the lavatory and galley may be bothersome. There is no floor storage for this seat during takeoff and landing. 1 E None No Power Seat 1 E is a standard Business Class seat, however, the proximity to the lavatory and galley may be bothersome. There is no floor storage for this seat during takeoff and landing. 1 F None No Power Seat 1 F is a standard Business Class seat, however, the proximity to the lavatory and galley may be bothersome. There is no floor storage for this seat during takeoff and landing. 17 B None No Power Seat 17 B is a standard Economy Class seat that has additional legroom due to the Exit Row, however, this seat has limited recline due to the Exit Row behind. 17 C None No Power Seat 17 C is a standard Economy Class seat that has additional legroom due to the Exit Row, however, this seat has limited recline due to the Exit Row behind. 17 D None No Power Seat 17 D is a standard Economy Class seat that has additional legroom due to the Exit Row, however, this seat has limited recline due to the Exit Row behind. 17 E None No Power Seat 17 E is a standard Economy Class seat that has additional legroom due to the Exit Row, however, this seat has limited recline due to the Exit Row behind. 18 A None No Power Seat 18 A is a standard Economy Class seat that has additional legroom due to the Exit Row, however, this seat has limited recline. 18 B None No Power Seat 18 B is a standard Economy Class seat that has additional legroom due to the Exit Row, however, this seat has limited recline. 18 C None No Power Seat 18 C is a standard Economy Class seat that has additional legroom due to the Exit Row, however, this seat has limited recline. 18 D None No Power Seat 18 D is a standard Economy Class seat that has additional legroom due to the Exit Row, however, this seat has limited recline. 18 E None No Power Seat 18 E is a standard Economy Class seat that has additional legroom due to the Exit Row, however, this seat has limited recline. 18 F None No Power Seat 18 F is a standard Economy Class seat that has additional legroom due to the Exit Row, however, this seat has limited recline. 28 C None No Power Seat 28 C is a standard Economy Class seat, however, the proximity to the lavatory may be bothersome. 28 D None No Power Seat 28 D is a standard Economy Class seat, however, the proximity to the lavatory may be bothersome. 29 A None No Power Seat 29 A is a standard Economy Class seat located in a last row of the aircraft. Seat back recline might be limited due to the wall directly behind. Also, if the seat back in front is reclined, then personal space will be reduced. The proximity to the lavatory and galley area might be bothersome. 29 B None No Power Seat 29 B is a standard Economy Class seat located in a last row of the aircraft. Seat back recline might be limited due to the wall directly behind. Also, if the seat back in front is reclined, then personal space will be reduced. The proximity to the lavatory and galley area might be bothersome. 29 C None No Power Seat 29 C is a standard Economy Class seat located in a last row of the aircraft. 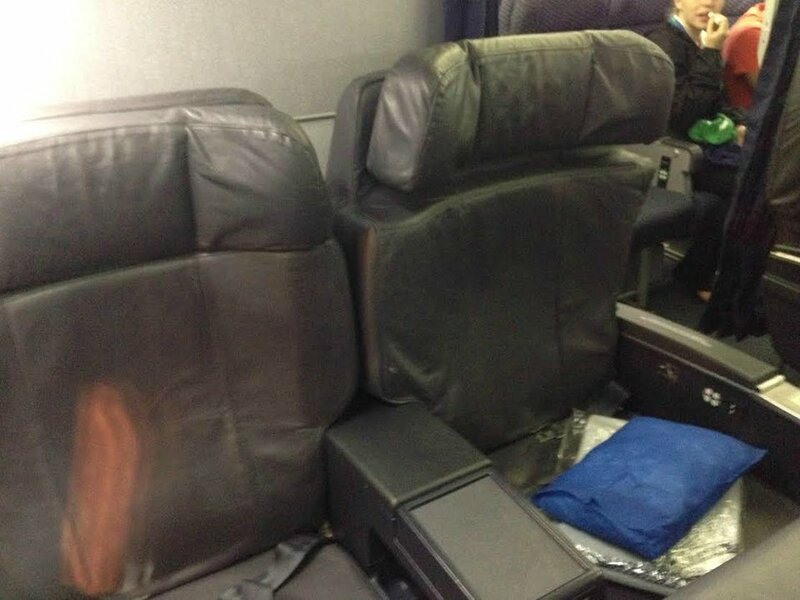 Seat back recline might be limited due to the wall directly behind. Also, if the seat back in front is reclined, then personal space will be reduced. The proximity to the lavatory and galley area might be bothersome. 29 D None No Power Seat 29 D is a standard Economy Class seat located in a last row of the aircraft. Seat back recline might be limited due to the wall directly behind. Also, if the seat back in front is reclined, then personal space will be reduced. The proximity to the lavatory and galley area might be bothersome. 29 E None No Power Seat 29 E is a standard Economy Class seat located in a last row of the aircraft. Seat back recline might be limited due to the wall directly behind. Also, if the seat back in front is reclined, then personal space will be reduced. The proximity to the lavatory and galley area might be bothersome. 29 F None No Power Seat 29 F is a standard Economy Class seat located in a last row of the aircraft. Seat back recline might be limited due to the wall directly behind. Also, if the seat back in front is reclined, then personal space will be reduced. The proximity to the lavatory and galley area might be bothersome. 5 A None No Power Seat 5 A is a standard Premium Class seat that has extra legroom. The tray table is in the armrest, making the armrest immovable and slightly reducing seat width. There is no floor storage for this seat during take-off and landing. 5 B None No Power Seat 5 B is a standard Premium Class seat that has extra legroom. The tray table is in the armrest, making the armrest immovable and slightly reducing seat width. There is no floor storage for this seat during take-off and landing. 5 C None No Power Seat 5 C is a standard Premium Class seat that has extra legroom. The tray table is in the armrest, making the armrest immovable and slightly reducing seat width. There is no floor storage for this seat during take-off and landing. 5 D None No Power Seat 5 D is a standard Premium Class seat that has extra legroom. The tray table is in the armrest, making the armrest immovable and slightly reducing seat width. There is no floor storage for this seat during take-off and landing. 5 E None No Power Seat 5 E is a standard Premium Class seat that has extra legroom. The tray table is in the armrest, making the armrest immovable and slightly reducing seat width. There is no floor storage for this seat during take-off and landing. 5 F None No Power Seat 5 F is a standard Premium Class seat that has extra legroom. The tray table is in the armrest, making the armrest immovable and slightly reducing seat width. There is no floor storage for this seat during take-off and landing. 6 A None No Power Seat 6 A is a standard Economy Class seat that Copa Airlines designates as a "Convenient Seat". Convenient seats provide extra leg room compared to other Economy Class seats, priority boarding and a favorable location. There is an additional cost to book this seat. 6 B None No Power Seat 6 B is a standard Economy Class seat that Copa Airlines designates as a "Convenient Seat". Convenient seats provide extra leg room compared to other Economy Class seats, priority boarding and a favorable location. There is an additional cost to book this seat. 6 C None No Power Seat 6 C is a standard Economy Class seat that Copa Airlines designates as a "Convenient Seat". Convenient seats provide extra leg room compared to other Economy Class seats, priority boarding and a favorable location. There is an additional cost to book this seat. 6 D None No Power Seat 6 D is a standard Economy Class seat that Copa Airlines designates as a "Convenient Seat". Convenient seats provide extra leg room compared to other Economy Class seats, priority boarding and a favorable location. There is an additional cost to book this seat. 6 E None No Power Seat 6 E is a standard Economy Class seat that Copa Airlines designates as a "Convenient Seat". Convenient seats provide extra leg room compared to other Economy Class seats, priority boarding and a favorable location. There is an additional cost to book this seat. 6 F None No Power Seat 6 F is a standard Economy Class seat that Copa Airlines designates as a "Convenient Seat". Convenient seats provide extra leg room compared to other Economy Class seats, priority boarding and a favorable location. There is an additional cost to book this seat. 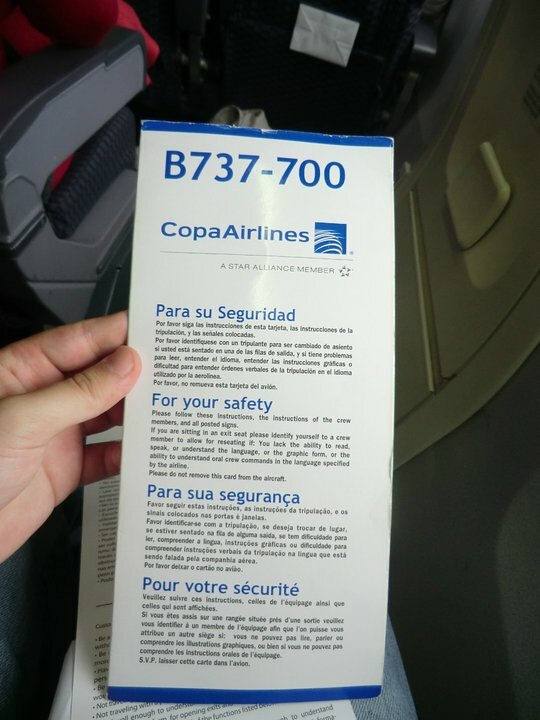 7 A None No Power Seat 7 A is a standard Economy Class seat that Copa Airlines designates as a "Convenient Seat". Convenient seats provide extra leg room compared to other Economy Class seats, priority boarding and a favorable location. There is an additional cost to book this seat. This seat is missing a window. 7 B None No Power Seat 7 B is a standard Economy Class seat that Copa Airlines designates as a "Convenient Seat". Convenient seats provide extra leg room compared to other Economy Class seats, priority boarding and a favorable location. There is an additional cost to book this seat. 7 C None No Power Seat 7 C is a standard Economy Class seat that Copa Airlines designates as a "Convenient Seat". Convenient seats provide extra leg room compared to other Economy Class seats, priority boarding and a favorable location. There is an additional cost to book this seat. 7 D None No Power Seat 7 D is a standard Economy Class seat that Copa Airlines designates as a "Convenient Seat". Convenient seats provide extra leg room compared to other Economy Class seats, priority boarding and a favorable location. There is an additional cost to book this seat. 7 E None No Power Seat 7 E is a standard Economy Class seat that Copa Airlines designates as a "Convenient Seat". Convenient seats provide extra leg room compared to other Economy Class seats, priority boarding and a favorable location. There is an additional cost to book this seat. 7 F None No Power Seat 7 F is a standard Economy Class seat that Copa Airlines designates as a "Convenient Seat". Convenient seats provide extra leg room compared to other Economy Class seats, priority boarding and a favorable location. There is an additional cost to book this seat. 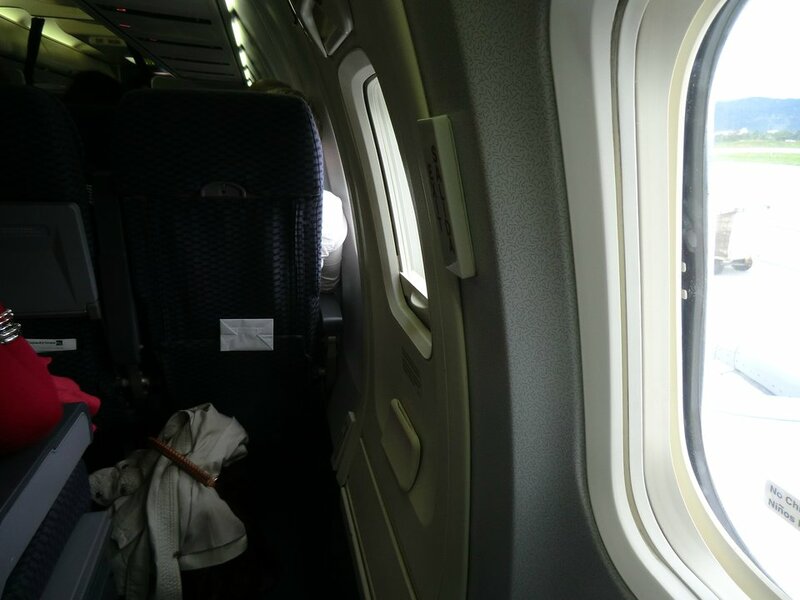 8 A None No Power Seat 8 A is a standard Economy Class seat that Copa Airlines designates as a "Convenient Seat". Convenient seats provide extra leg room compared to other Economy Class seats, priority boarding and a favorable location. There is an additional cost to book this seat. 8 B None No Power Seat 8 B is a standard Economy Class seat that Copa Airlines designates as a "Convenient Seat". Convenient seats provide extra leg room compared to other Economy Class seats, priority boarding and a favorable location. There is an additional cost to book this seat. 8 C None No Power Seat 8 C is a standard Economy Class seat that Copa Airlines designates as a "Convenient Seat". Convenient seats provide extra leg room compared to other Economy Class seats, priority boarding and a favorable location. There is an additional cost to book this seat. 8 D None No Power Seat 8 D is a standard Economy Class seat that Copa Airlines designates as a "Convenient Seat". Convenient seats provide extra leg room compared to other Economy Class seats, priority boarding and a favorable location. There is an additional cost to book this seat. 8 E None No Power Seat 8 E is a standard Economy Class seat that Copa Airlines designates as a "Convenient Seat". Convenient seats provide extra leg room compared to other Economy Class seats, priority boarding and a favorable location. There is an additional cost to book this seat. 8 F None No Power Seat 8 F is a standard Economy Class seat that Copa Airlines designates as a "Convenient Seat". Convenient seats provide extra leg room compared to other Economy Class seats, priority boarding and a favorable location. There is an additional cost to book this seat. 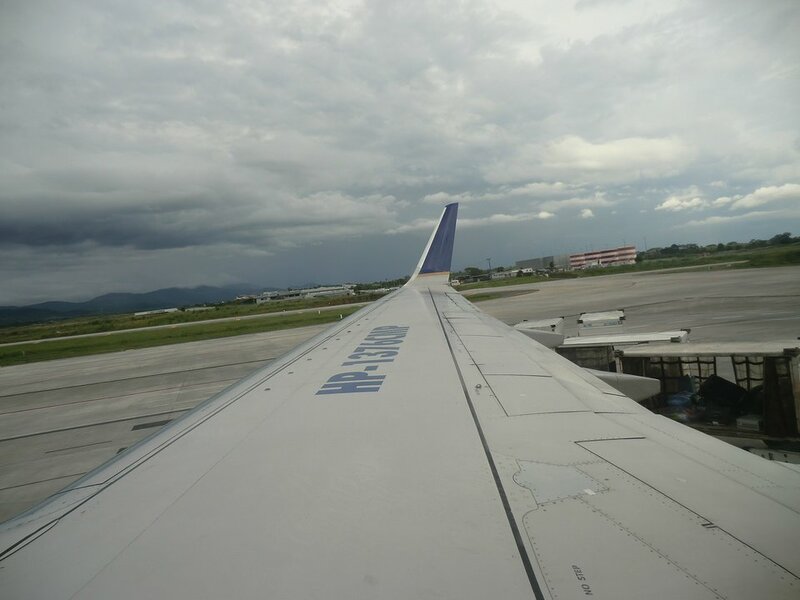 9 A None No Power Seat 9 A is a standard Economy Class seat that Copa Airlines designates as a "Convenient Seat". Convenient seats provide extra leg room compared to other Economy Class seats, priority boarding and a favorable location. There is an additional cost to book this seat. 9 B None No Power Seat 9 B is a standard Economy Class seat that Copa Airlines designates as a "Convenient Seat". Convenient seats provide extra leg room compared to other Economy Class seats, priority boarding and a favorable location. There is an additional cost to book this seat. 9 C None No Power Seat 9 C is a standard Economy Class seat that Copa Airlines designates as a "Convenient Seat". Convenient seats provide extra leg room compared to other Economy Class seats, priority boarding and a favorable location. There is an additional cost to book this seat. 9 D None No Power Seat 9 D is a standard Economy Class seat that Copa Airlines designates as a "Convenient Seat". Convenient seats provide extra leg room compared to other Economy Class seats, priority boarding and a favorable location. There is an additional cost to book this seat. 9 E None No Power Seat 9 E is a standard Economy Class seat that Copa Airlines designates as a "Convenient Seat". Convenient seats provide extra leg room compared to other Economy Class seats, priority boarding and a favorable location. There is an additional cost to book this seat. 9 F None No Power Seat 9 F is a standard Economy Class seat that Copa Airlines designates as a "Convenient Seat". Convenient seats provide extra leg room compared to other Economy Class seats, priority boarding and a favorable location. There is an additional cost to book this seat. 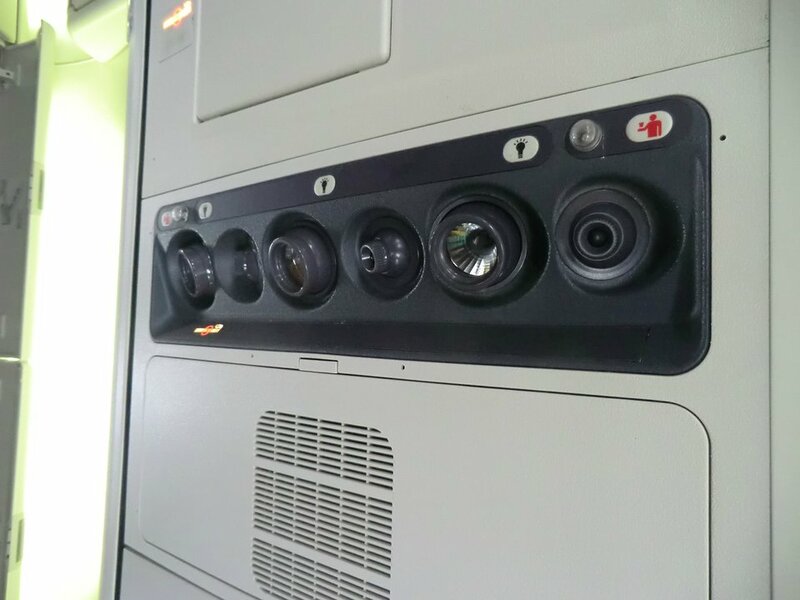 Overhead screen are located every three rows. Depending on the flight length, Copa Airlines will play a selection from four featured films and one sitcom, which are updated monthly. Copa Airlines flies 1 versions of Boeing 737-700.